ArabSaga: Obama flees Syria, but what with Saudi Arabia? 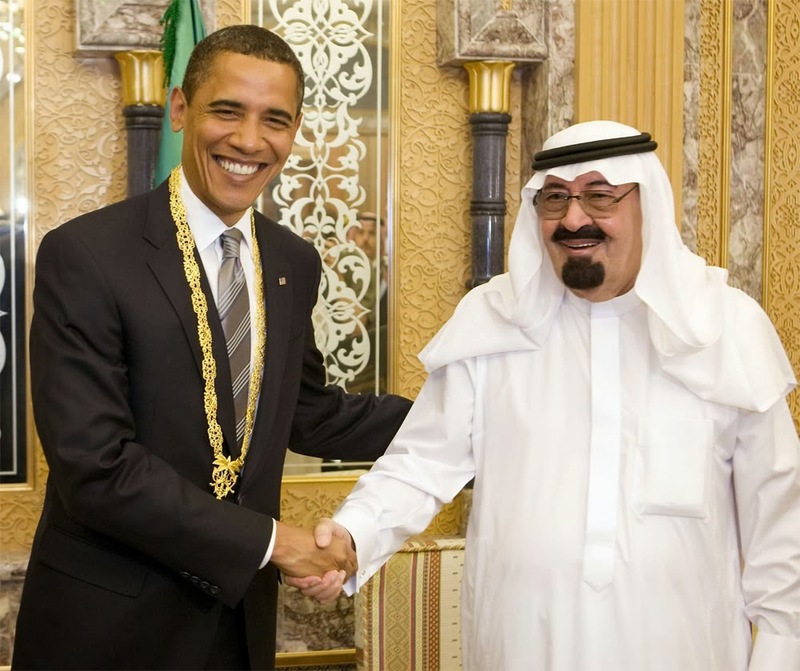 There are many reasons for the Saudi-U.S. crackup. The breach is mostly over Syria, where U.S. doublespeak has repeatedly been used to hide negativity. Incessant American statements denouncing the Assad regime are totally irreconcilable with happenings on the ground. What infuriated the Saudis, who want a quick end to the Syria crisis, is what they believe to be America’s laid-back and indifferent attitude liable to prolong the crisis regardless of its consequences and its spillovers into regional countries. The most conspicuous inconsistency in the American position is in the matter of arming the opposition. America covertly bumps heads with its Saudi ally over the latter’s desire to raise the quality of arms supplied to the Syrian opposition, and even prevents its Saudi ally from delivering quality weapons by invoking bilateral arms sales agreements banning such transfers to a third party. At the same time, the U.S. does nothing about the shipments of Russian arms to the Syrian regime via Iran and Iraq. The only time Washington intervened was to back Israel’s objection to Russia delivering game changing S-300 air defense systems to Syria. The U.S. did not even try to thwart the participation in the Syria war of tens of thousands of Hezbollah and Iraqi Shiite militiamen although Washington has ample details about the role Iran’s elite Revolutionary Guard and its Commander General Qasim Suleimani are playing in the war. Unquestionably, the Americans’ answers – such as they cannot shut out Hezbollah or Iran’s Revolutionary Guard from Syria – are far from having convinced Saudi Arabia. Riyadh is fully familiar with every aspect of America’s influence in Iraq, which has become the primary conduit for Iranian arm shipments and volunteers to Syria. Israel did not hesitate to hit Hezbollah and Revolutionary Guard targets inside Syria when she felt they threatened her national security. It did so without Syria or any of its allies reacting. If Israel can do this, so can America -- especially that Jordan paved the way for Washington, having offered the Obama Administration the chance to use Jordanian bases to deploy its armed drones against Syrian regime targets. The U.S. Administration declined the Jordanian offer, which was repeated on several occasions in coordination with the Saudis, according to an informed source. Paradoxically, the U.S. fully concurs with Saudi Arabia that the biggest threat to the security of the Arabian Peninsula comes from al-Qaeda, which is already active in Yemen. Both Washington and Riyadh are working hand-in-hand to fight it. But at the same time, Washington is indifferent to the threat posed by al-Qaeda in Syria, which mushroomed with the arrival there of the original version of the terrorist group – namely, the Islamic State of Iraq and the Levant (ISIL), which Saudi Arabia perceives as a serious menace to her security. And so do Jordan and Turkey. By sinking roots in Syria, ISIL, which is also known by its Arabic acronym DAESH, would have set up a network of human ballistic missiles there capable of reaching all regional countries. It would be in a position to send suicides to all regional cities. The group has already moved against the Iraqi Kurdistan Regional Government by sending suicide car-bombers to Erbil in retaliation to KRG President Masoud Barzani’s avowed readiness to help Syria’s Kurds against terrorists in Syria’s north. The Erbil bombings shocked regional capitals particularly that the enclave was calm for years and has a strong security network. Experts claim that intercepting a surface-to-surface missile with a network of Patriots is easier than intercepting a lone, cross-border suicide who gets his explosives delivered to him via another route. Once the suicide receives his explosives the chance of foiling his terrorist bombing becomes negligible. By nesting in northern Syria and welcoming foreign fighters, DAESH will become a magnet for young Saudis outraged by the abuses in Syria. Such young Saudis have been swayed by calls for Jihad still ringing across the Kingdom, but mostly underground. Estimates putting the number of Saudi “mujahideen” in Syria at 4,000 are probably inflated, as happened earlier in Afghanistan and Bosnia. But even if the figure were one-fourth of the estimate, the number is substantial enough to reinvigorate al-Qaeda in Saudi Arabia after the Kingdom breathed a sigh of relief when its security forces succeeded in stamping out its activities. Riyadh still has reason for concern. Young Saudis in Syria deliberately conceal their true numbers and shun the media. They do not emulate al-Qaeda, which is always keen to boost its recruitment campaigns by uploading propaganda videos about the heroism of its members on YouTube. This is probably because they know fighting in Syria violates their government’s instructions. They also realize Saudi security is aware as to who left the country to fight in Syria and will surely apprehend the lot on their return. Al-Qaeda in turn knows this very well and exploits the fact to build a recruitment reservoir for future underground action in the post-Syria stage. Al-Qaeda-watchers know there is always a post-Syria, post-Afghanistan and post-Iraq. All these Saudi concerns won’t dissipate except with a settlement of the Syria crisis that ends the war that is currently serving as fertile ground for al-Qaeda and Iran to spread their respective influences, each in its own way and in keeping with its own purposes. And although neither al-Qaeda nor Iran is a friend of Saudi Arabia, recent leaks in the American press reveal the Obama Administration is not only unconcerned, but wants the Syria crisis to persist. This is bound to deepen the Saudi American rift. The hurtful surprise came in a recent New York Times quoting White House Chief of Staff Denis McDonough as questioning how much it was in America’s interest to tamp down the violence in Syria. He argued the status quo in Syria could keep Iran pinned down for years. In later discussions, McDonough suggested a fight in Syria between Hezbollah and al-Qaeda would work to America’s advantage. His words evoke memories of “imperialist” statements made in the 1950s when the interests of arms dealers and oil companies determined American foreign policy with total disregard of peoples’ rights and interests. We are not angels ourselves, but we cannot possibly be as wicked. The price of such a policy will be paid by the Syrian people and by the whole region. The war between al-Qaeda and Hezbollah will drag in the region’s countries and armies. U.S. President Obama considers U.S. health care reform more important than what he dubbed Syria’s inferno. However, for us Saudis, Syria could be our heaven or our inferno. So let us do something, albeit alone. No matter what the cost turns out to be today, it would surely be less than what we would have to pay in three of four years.